This Chirofoam mattress review highlights this new foam mattress that promises to deliver better, more supportive sleep. The Chirofoam mattress is recommended by chiropractors and is a 12″ all foam mattress with key support design features. The Chirofoam promises to provide excellent sleep and support and is endorsed by spine care professionals. The mattress uses proprietary foam and has specific design features that improve lumbar support and extend the mattress life. A 2″ Top Layer – This layer is 2″ of Cool Gel memory foam designed to provide contouring support and help ensure cooling during sleep via temperature sensitive foam. A 2″ Support Layer – This layer is 2″ of supportive that provides bounce and a resilient layer of support. This layer really helps provide push back to the top layer while also absorbing pressure from your body during sleep. A 8″ Foundation Layer – This layer is 8″ of therapeutic base foam that provides support for the mattress and deep compression support for the body during sleep. The cover of the Chirofoam is exceptionally nice, very soft and with a nice pattern that makes gives the mattress a luxurious feel and finish. The Chirofoam is a universal comfort mattress, designed to appeal to a wide variety of sleeperss. We rate it at a 6.5 out of 10 (10 being the firmest). The Chirofoam felt a little on the firmer side to me, as I am significantly heavier than Kaye, as I tend to press through the top comfort layers and feel more of the sturdier support layers in most mattresses. In terms of support, the Chirofoam mattress does a really good job of providing excellent support in all sleeping positions. 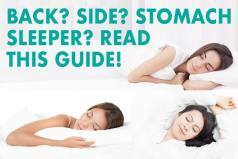 As we are primarily side sleepers, we like mattresses that provide enough give in the top comfort layer to support our shoulders and hips, while also having the firmness if we switch to our stomachs and backs. The Chirofoam does a great job of supporting all sleeping positions. I really felt great support in my shoulders and hips when sleeping on the Chirofoam, as it was soft enough to be comfortable but still supportive where I didn’t sink too far down in the mattress, causing hip or shoulder pain which some softer mattresses tend to do. Kaye, who likes firmer mattresses, felt the Chirofoam was also very supportive as well, which is often something we as a couple disagree on when both sleeping on a bed. TheChirofoam mattress contains a unique layer of Chirofoam support foam which provides an additional 20% of conforming support in the center third of the mattress, to aid in lumbar support and increase the lifespan of the mattress. As this is where the majority of sleeper weight lies, it aids in preventing sagging and providing excellent support. The transitional foam layer beneath the gel-infused memory foam does a good job at providing push-back and response without the sinking feeling often accompanied by memory foam. The Chirofoam is a very comfortable mattress, and the premium materials all lend themselves to accomplishing this. The soft exterior cover provides a very comfortable sleeping surface, and the gel memory foam and latex foam combine to really give a comfortable top surface without being too soft. Both Kaye and I really like this mattress quite a bit, in that it is a nice thick 12″ and a lot different than most 10″ foam mattresses we test. As mentioned above, the Chirofoam does a great job at providing support and comfort at the same time, without providing any pressure on joints which some mattresses do. The Chirofoam mattress has enough firmness to the mattress to provide good support, while also being really comfortable and cushioned in the top layers. The Chirofoam does a good job at providing a cool sleeping surface via the use of the gel memory foam layer in the top comfort layer, the ventilated Airlux foam layer, as well as the latex layer as well. We did not get the sticky sweaty feeling that some foam mattresses cause during the night, as the various technology used to keep the mattress cool does a good job at preventing heat buildup. There was some heat felt at times, but that is most likely due to summer here in Texas and our preference for comfortable sheets and bedding and our combined body heat! The Chirofoam does a great job with sinkage and motion transfer, especially compared to most mattresses we have reviewed. As we always preach, sinkage (and motion transfer) is largely weight dependent. The fact that I (Andrew) weight around 230lbs tends to have a rather large bearing on the degree of sinkage I experience when sitting and lying on a mattress. Kaye, who is half my weight, experiences much less, naturally. The Chirofoam does an excellent job at minimizing sinkage, both sitting upright as well as lying on the mattress when sleeping. Edge support is especially good with this mattress, both sitting and when lying down. The nice thick 12″ mattress supports our combined weight excellently without causing compression or sinkage down into the mattress or causing “bottoming out” which may thinner 10″ mattresses do. When I slept closer to the edge of the Chirofoam mattress, I did not “roll off” the edge as is a problem with many mattresses, due to the exceptional edge support. Likewise, as stated, I also did not sink to the foundation when sitting on the edge of the mattress. As for motion transfer, again – the Chirofoam does an excellent job at minimizing motion transferbetween both Kaye and myself when sleeping and changing positions during the night. The multiple layers of dense foam do a great job at preventing transfer when sleeping together as a couple. We rarely felt each other move around or get up during the night, and there wasn’t any “falling into a hole” for Kaye when I depressed my side of the mattress from my heavier weight. The Chirofoam gets high marks in this category for not having a noticeable smell upon opening the box. Most foam mattresses experience a degree of off-gassing and odor from being compressed and packaged in plastic for shipping, but the Chirofoam differs from most in this regard by not having very much at all. High marks in this category. The Chirofoam is very reasonably priced for the quality delivered, coming in at $890 for a Queen (after using our MFT100 $100 off coupon). 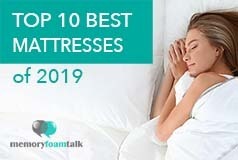 The Chirofoam is a great mattress and one of the best ones in terms of support that we have slept on out of many of the memory foam mattresses we have reviewed to date. Chirofoam has done a great job with this memory foam mattress, and it shows from the construction and materials used in this great bed. The comfort and support provided by the mattress’ design is excellent, providing a nice comfortable layer on top with the support needed for both my heavier weight and Kaye’s lighter weight. The 12″ thick mattress with increased support zone and high density foam is both comfortable and very supportive. The Chirofoam does a great job at providing a comfort layer that hugs the body while at the same time being responsive and providing enough “bounce” to make it favorable for couples in the wee hours of the night. The mattress sleeps cool via the gel cooling layer and has minimal motion transfer and sinkage. All in all, we feel the Chirofoam is one of the better memory foam mattresses on the market today. 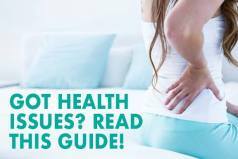 We hope our Chirofoam mattress review helps you make a decision on your next mattress purchase!